A D.C. leader complained to the head of the TSA after District residents reported being hassled over traveling with valid "District of Columbia" driver's licenses. District of Columbia residents don’t live in an actual U.S. state, and are constantly reminded of their unique residency by Transportation Security Administration (TSA) agents at American airports. 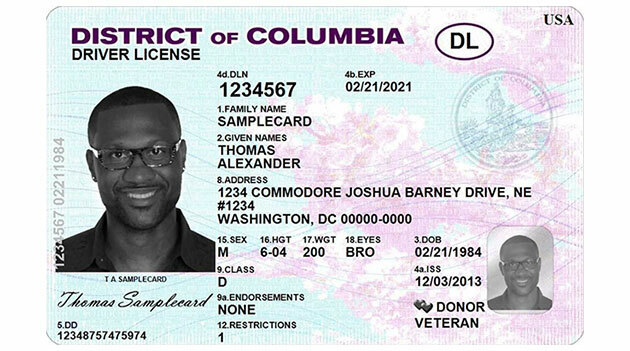 The confusion began in May 2014 after the District’s ID cards changed from reading “Washington, D.C.” to “District of Columbia.” Since then, there have been multiple incidents of misunderstanding at airports, liquor stores, and events where customers are required to show their licenses. The “District of Columbia” licenses caused so much trouble that D.C. officials reverted back to the “Washington, D.C.” distinction in 2017. Though, the TSA must still accept the “District of Columbia” licenses that are in circulation. “TSA will continue to work with Congresswoman Norton about her concerns and reminders have been distributed to officers,” said a TSA spokesman.